The Cream Machine is basically a low wattage high-gain Marshall valve amplifier in miniture and is used to produce that classic over-driven British rock guitar tone. Just crank the controls around to the level of distortion required, from a very smooth cream mode to when cranked a full sounding mini Marshall. low-power pre-amplifier & amplifier combo in a super compact enclosure designed to produce guitar distortion tones. 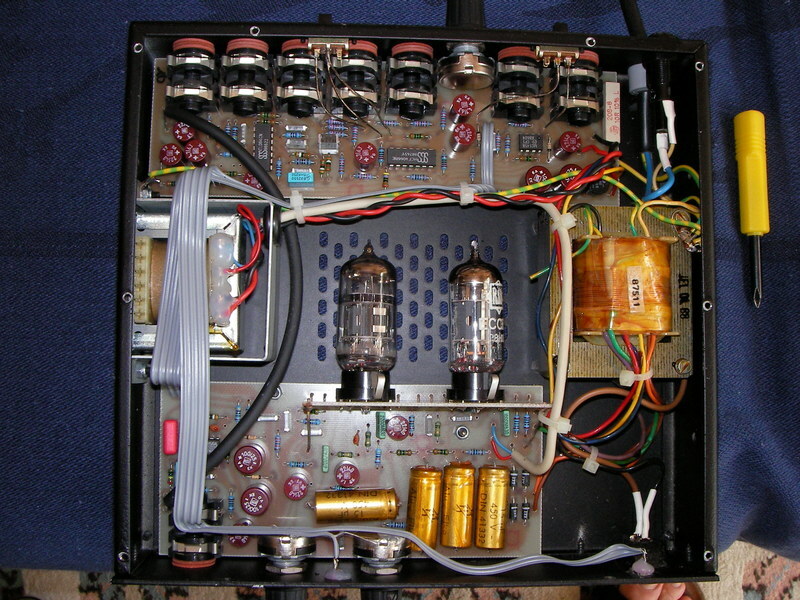 It was the first small recording tube-base amp produced. 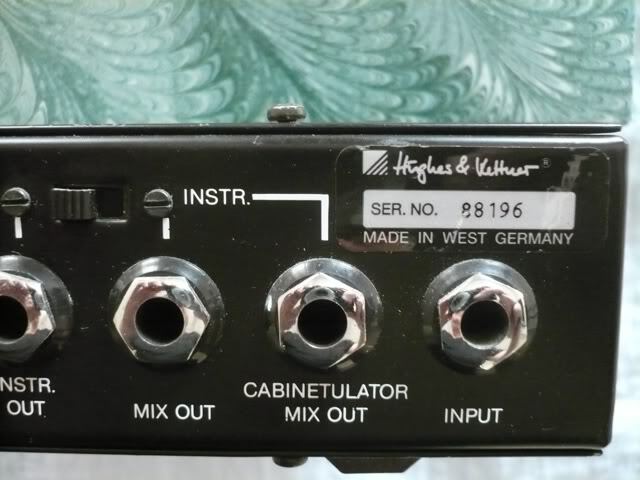 The Hughes & Kettner electronics construction is top-rate German quality. 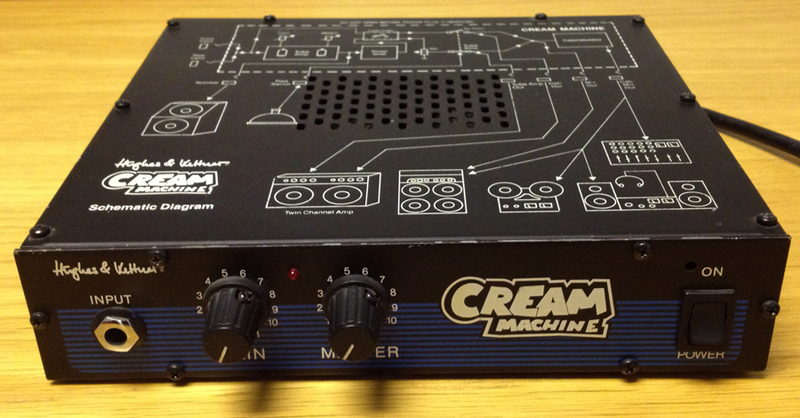 The Cream Machine is not best for clean tones - it is designed to produce Marshall style amp distortion. For clean tones use a Cream Machine in sequence with a Crunch Master (Blues Master) and have the Crunch Master provide the clean tones and act as the power amp to drive the speakers. with its apparent volume from just 1 watt, which has enough power to drive a 4 x 12 speaker cabinet. The advantage of the Cream Machine is that it drives when cranked a speaker cab around 20 decibels quieter than a 100 watt Marshall amp. studio from a 100 watt Marshall amp because recording gear downstream of microphones can get overloaded when the amp is operating at distortion sound levels. The Cream Machine does a great job of emulating Marshall tube amps at reasonable volumes, which makes it ideal to record British cranked tones. The sound produced is in a range that fits in perfectly with recording and is more pleasing for sound engineers. The Cream Machine has many interfaces compared to low power amps in current production, such as the Nano Head, which makes it better suited for use in recording environments than most current alternative products. It also has the right interfaces to function as a over driven tube effect unit in a live playing environment. On the other hand, for miked low power guitar amps there are quite a number of brands on the market that are very nice, but they tend to be much more expensive than purchasing a Cream Machine on the used market. The Cream Machine is meant to sound like a heavily over-driven Marshall valve amp and it indeed creates great valve distortion tones. At low volume levels, with the gain set high you can get feedback normally requiring very loud amplification. At high gain control settings the Cream Machine is very sensitive to input gain and a slight touch of the strings will produce an over-driven growl if the volume on the guitar is set too high. It works best to control gain using the guitar gain knob to drive the level of the Cream Machine effect required. In this setting the Cream Machine volume is set to the desired level speaker output level. Then the gain control is brought up until it produces the desired crunch. The trigger point is then controlled with the guitar volume. 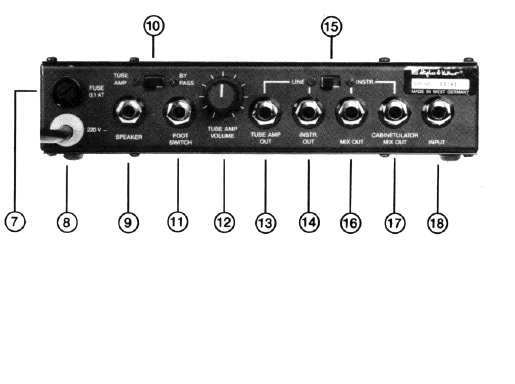 The various outputs (13, 14, 16, 17) can be switched Instrument Level and Line Level using switch Number (15). 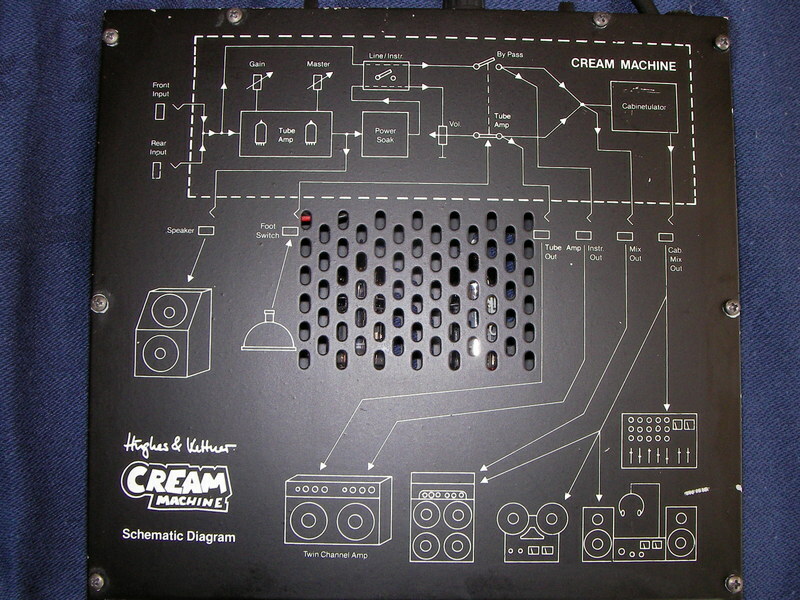 Cream Machine down to a level which is similar to that produced by a guitar on its own. The Instrument Out is used to connect with another guitar amplifier input. These are line level outputs. A standard type single button footswitch plugged into the Footswitch Socket (11) enables the ability to selectively bypass the Cream Machine When bypass is selected the unaltered guitar signal is passed straight through. The latter bypasses the Cream Machine and takes the guitar signal directly into your amp. Tube Amp Out (13) in relation to the bypassed output signal from Instrument Out (14). The gain or volume control on your guitar amplifier should be set to match the output of the Cream Machine to balance the Instrument Out (14) signal with the Tube Amp Out (13) signal. Jack with 1W @ 8 ohm amplified output signal and is where an 8 ohm speaker or speaker cab is plugged in. A footswitch plugs into this jack and switches On/Off a bypass relay which takes the Cream Machine out of the mix signal on Mix Out (16) and Cabinentulator Mix Out (17). When the footswitch relay is on and the bypass is enabled the raw instrument signal passes through (16) and (17). The only way to achieve a genuine and desirable all-tube sound is by feeding the signal, not only through a tube preamp stage, but also through a tube output stage and output transformer. The overtones generated by the tube output stage are an integral part of tube sound, particularly when the amp is being over-driven. This is why both the Cream Machine and the Crunch Master contain not only a tube preamplifier, but also a complete tube power amplifier section. 4 x 12 speaker cabinet. The tube power amp can be connected directly to a loudspeaker and will function more than adequately as a practice amp for use at home.